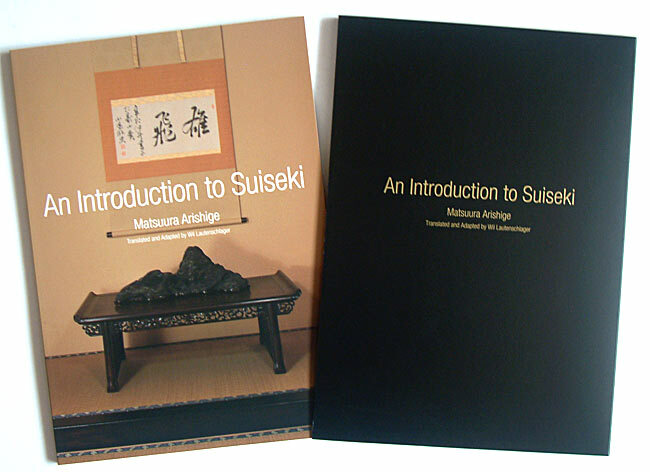 I am pleased to be able to offer suiseki enthusiasts this book written in English by the well known and world respected suiseki authority, Matsuura Arishige. This book is signed by the author and also has his red seal mark. 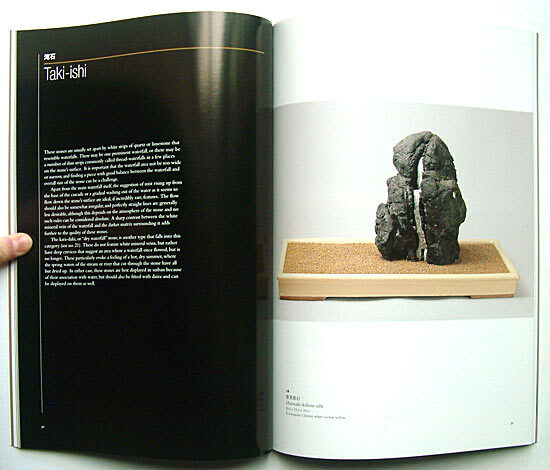 This nicely produced book informatively guides the suiseki enthusiast through the many aspects of the art and helps to clarify numerous points about the subject. 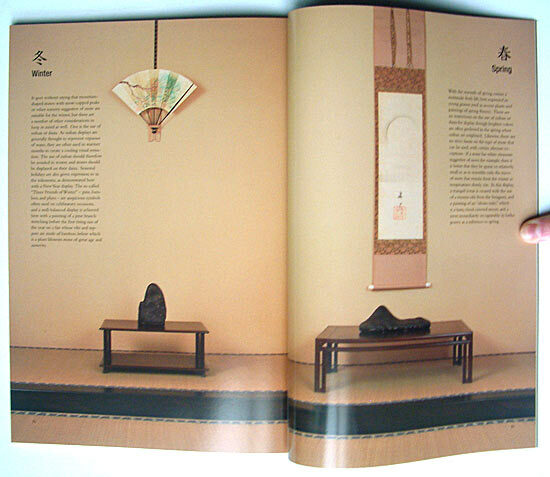 Richly illustrated throughout with color photographs of fine quality Japanese suiseki, suiban, doban, shoku etc. Softbound, with black protective slipcase. I would highly recommend adding this book to your suiseki library - it is one you will regularly read and refer to. Price: $170, including Air Mail shipment.